In the summer (1.6 – 31.7) on Thursdays we close already at 16.00. See the front page of any exceptions to the office hours. asiakaspalvelu@localhost, e-mail address you can request more information about apartments. 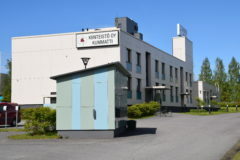 Write your opinion Kiinteistö Oy Kummatti`s activities, or tell your suggestions how we can improve our services. Every feedback is important to us!